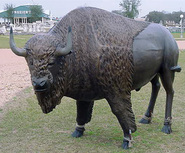 Decorate your garden with our selection of Recycled Cast Aluminum Buffalo, Bison Animal Garden Statues and Sculptures. 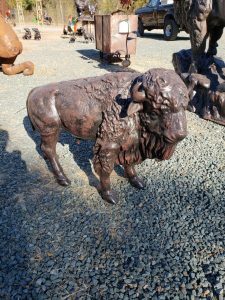 Our metal Buffalo and Bison Garden Ornaments will be a unique to your indoor or outdoor home or business décor. 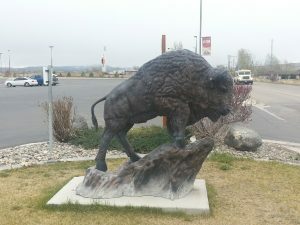 Whether you call them buffalo or bison, our metal garden statues and yard art are unique. 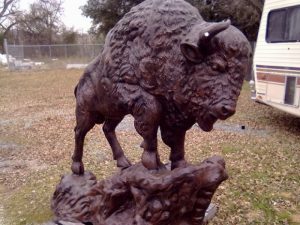 Made of recycled aluminum, our buffalo and bison sculptures and garden ornaments will give you a display piece to be proud of. With special pricing and nationwide shipping, we can provide you with the perfect piece.